Take a break in one of our ports, various facilities have been installed to facilitate your stay. Why not weigh anchor and make the most of them to discover our region. 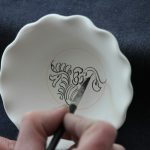 It begins in the heart of the town of Digoin, at Port Campionnet, where it is connected to the Canal du Centre which, in turn, joins the Saône at Chalon-sur-Saône, and ultimately the Rhone Basin. 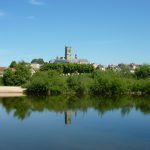 Then it crosses the Loire on a large aqueduct, and soon after sees, on its left bank, in Chavane, the Roanne to Digoin canal which is its extension to the south. 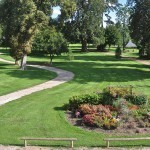 In Decize, an important river tourism base, a junction on the bed gives access to the Nivernais canal. Shortly before crossing the Allier on the Guétin aqueduct, a junction allows you to reach Nevers. Soon after the aqueduct and its double lock, the canal receives, from the left, the waters of the Allier through the Lorrains (or Apremont) channel, which has a curious round lock at its origin, 3 km upstream, and was navigable. 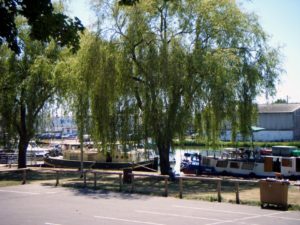 A little later, on its right, the canal has another junction, which the boats could use to load up at Fourchambault, on the other bank of the Loire. In Marseilles-lès-Aubigny, a former important battle town, one can still see the mouth of the old Berry canal, which was declassified in 1955. 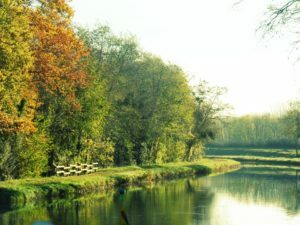 After passing the foot of Sancerre hill, where another branch allows you to join the Loire, the canal arrives at Châtillon-sur-Loire where it formerly crossed the Loire along its bed, between two dykes. At present, it follows a less dangerous route to Briare, over the great aqueduct of the same name. Finally, after 2 km and a final aqueductover the Trézée at La Cognardière, it connects to the Briare canal. Following this one and the Loing canal which continues it, the boat can carry on until Seine. You don't need to have a licence to navigate the Canal! You can rent a boat for a week or a weekend. 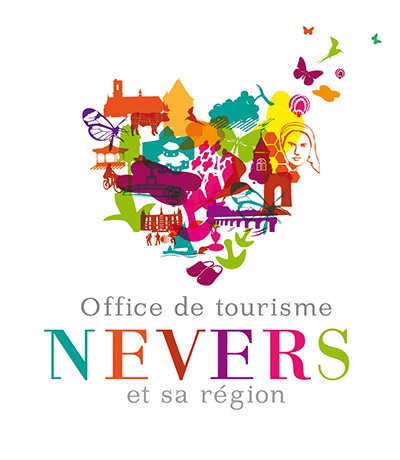 Located on a branch of the Canal Lateral to the Loire, the Port of Nevers welcomes boaters in a pleasant setting, near the Nantes-Budapest-Black Sea Cycle Route Boaters stay a few kilometres from the historic centre of Nevers, labelled a' City of Art and History'. You can stay for just one night or for a long break. 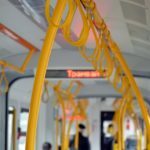 40 places to moor within walking distance of the town centre. All facilities are at your disposal for you to enjoy your holidays. The nautical base is the central point of the village. It is not uncommon to meet people passionate about river tourism, always delighted to share their sailing experiences and stories related to Plagny and its beautiful harbour. 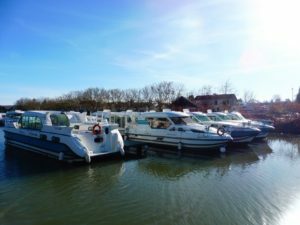 Opt for a boat rental in Plagny to get right into the heart of the Burgundy nature. 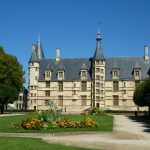 Travel along the Nivernais canal or the canal lateral to the Loire! 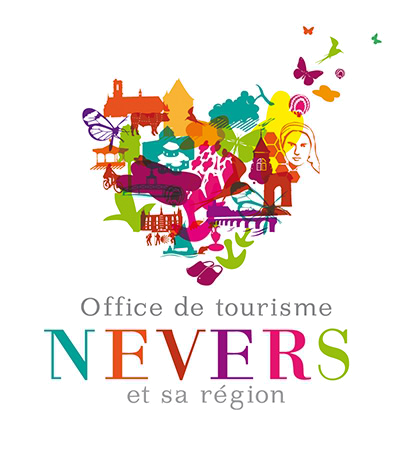 Rogny and its 7 locks, Sancerre and its vineyards, Briare and its aqueduct, and Nevers and its historic monuments are all places to discover from Plagny.